Although there are competently a large number of affordable Android tablets available in the market, premium PC maker Dell has yet again added a new one in its popular Venue series. 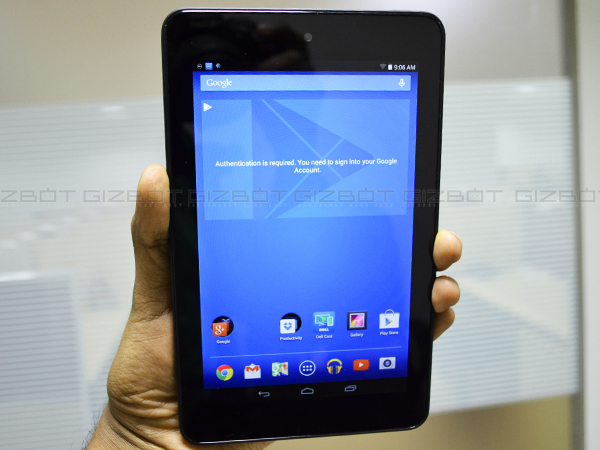 The 7-inch Dell Venue tablet is not much of a high-end device but does come with a 4G LTE support which makes a huge difference, when you hear that it is being offered in an affordable price range. Precisely speaking, the SIM supported device is being offered at the price of Rs. 14,999, which is according to the market a bit too much but again the company is also offering the Wi-Fi-only version at just Rs. 11,999. 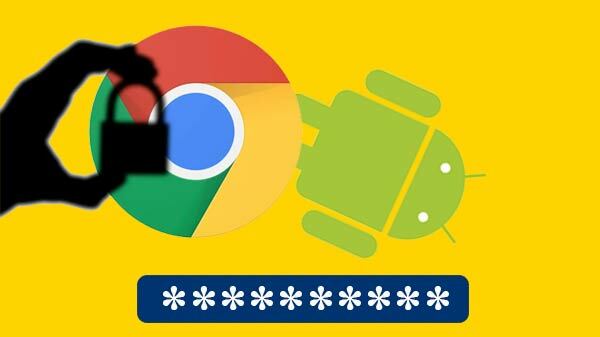 Moreover, since it is a 2014 device it doesn’t offer a Lollipop version of Android, however, you will at least get the pure version of Android 4.4 KitKat. The device will in fact impress you with quite a lot of features but while it was with GizBot it also made us realize certain other things about the tablet. Let’s go ahead. First of all, design-wise, Dell 7 (2014) is not quite the most beautiful looking device nor is it a device with extreme specification. However, if you are looking for a simple tablet for a regular usage than Dell Venue 7 is a tablet that will also go easy on the wallet. 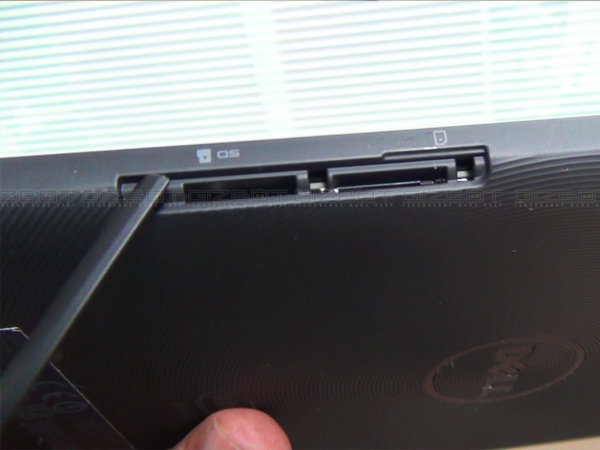 The 7-inch Dell Venue has the headphone jack, Micro-USB port, and volume buttons on the top left corner. 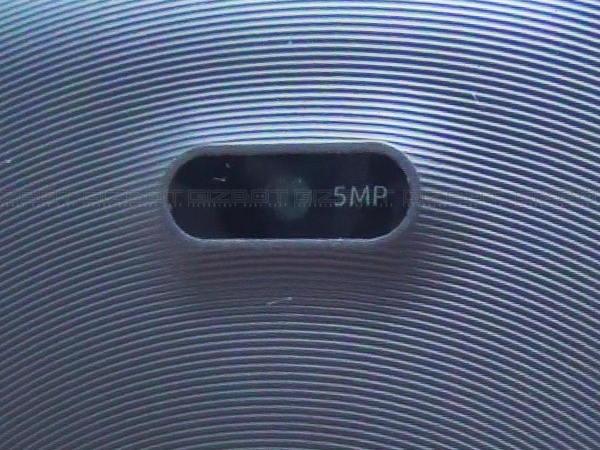 The volume buttons are flush to the edges, but are still relatively easy to find without looking. 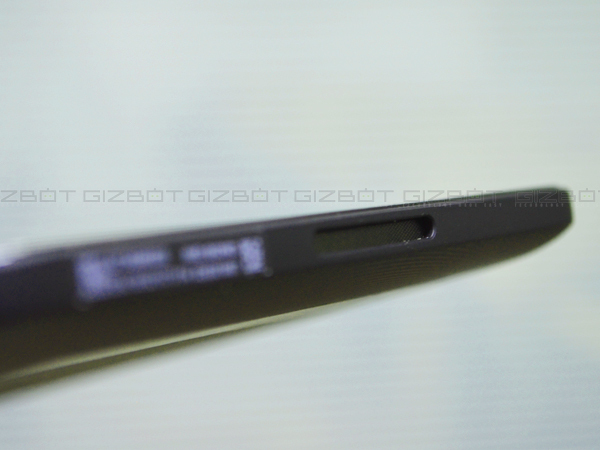 The microSD card slot, expandable up to 64GB, is located on the right edge. Dell offers the Venue tablets in black and the back panel of the device features a circular grooved texture that feels pleasant on your hands. 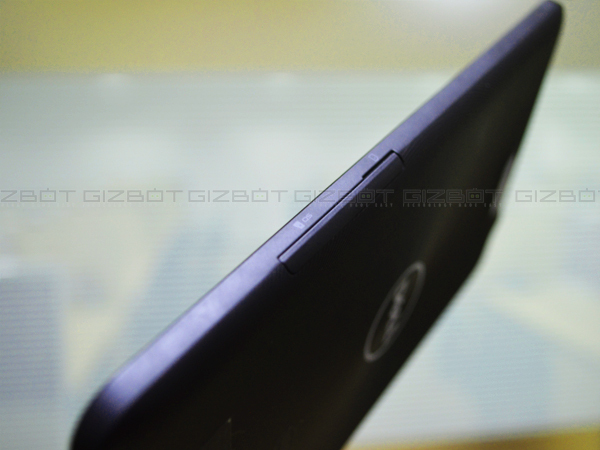 Moreover, a matte finish also adds a bit of edge to the device. What is quite sad is when you look at the table is the size of the bezels. They resemble a number of other cheap devices with fat bezels. One of the things that I personally liked about the tablet was its weight, which is interestingly light and feels comfortable while using for a longer duration on your hand. 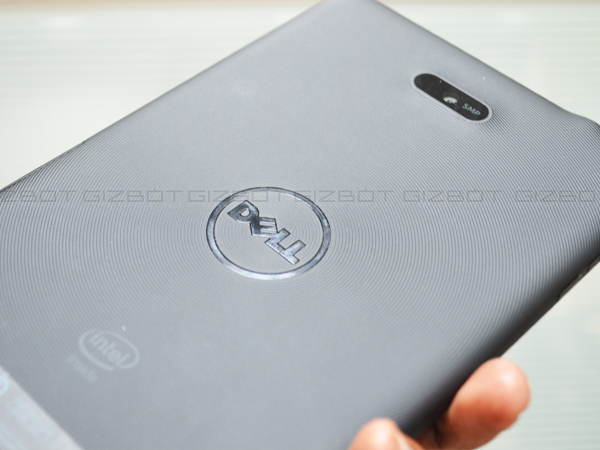 The casing of Dell's Venue 7 LTE has a thickness of about 9mm and is roughly as heavy as the Nexus 7 with 295 grams. 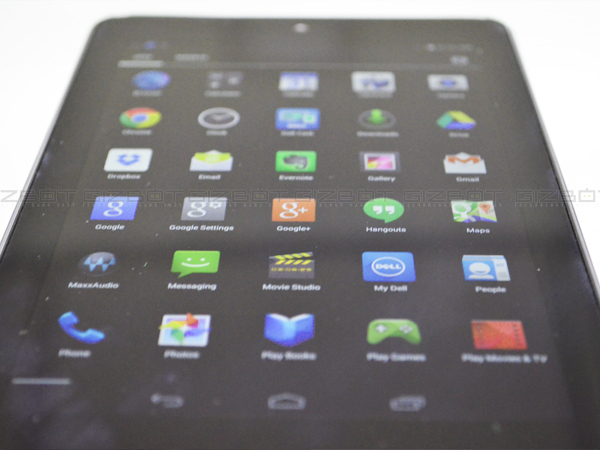 IPS technology has been employed in the Dell Venue 7 tablet. In terms of numbers, the 7-inch display offers a resolution of 1280x800 pixels. Moving further into the specifics, it delivers an aspect ratio of 16:10 and a pixel density of approx. 216 ppi. I wouldn’t say that the tablet the best of the display but yes, it surely does the work and manages to fulfill the average users. What was quite interesting in the display department was the color accuracy. The Dell Venue 7 has a great color reproduction and only shows minimal problem in reproducing the green. The brightness of the display is also something that might disappoint you as it is comparatively not enough bright to offer the best of the daylight readability. The contrast ratio works in this situation to compensate the sunlight readability. Owing to the usage of the IPS technology, the viewing-angles are also perfect. 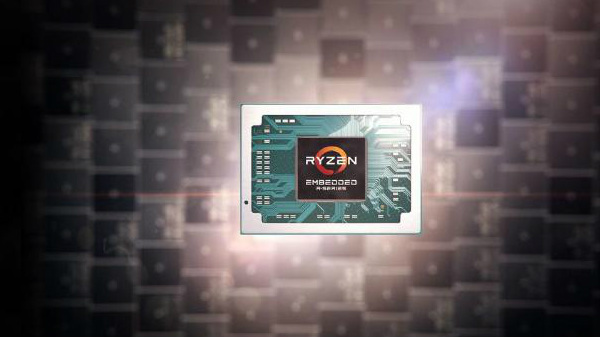 Although it is not the best of the processors but Intel's Atom Z3460 that is based on the latest Merrifield architecture is what powers the device. It’s a dual-core processor clocks with a maximum of 1.6 GHz. The CPU is coupled with 1 GB of RAM which is not a good thing. If gaming is what you are looking for in the device, no worries, Dell has also incorporated a PowerVR G6400 GPU clocked at 457 MHz. This supplies an outstanding GPU performance and does not need to fear the competition. It is only defeated by current top GPUs like in the iPad Air (PowerVR G6430) or Galaxy S5 (Adreno 330 @ 578 MHz). The games we played were very smooth in the tablet. If you are a gamer who likes titles like Asphalt 8, the Dell Venue 7 can easily offer the best experience with the GPU that it is backed with. This is because the GPU supports OpenGL ES 3.1 and DirectX 10. However, it you believe in numbers, on the AnTuTu Benchmark v4 the Dell Venue 7 managed to score 24471 points, which is not bad at all. The frame rate in GFXBench improved from 13fps to a very solid 32fps, and 3DMark's Ice Storm Extreme rose from 3,643 to 8,935. As far as the software is concerned, apart from Android 4.4 offered in the device, there are a few customisations, most notably WavesAudio optimisation and its accompanying app. You can toggle between movie, music, voice and game modes using a widget in the notifications shade. The Dell Venue 7 has a 5-megapixel rear camera and upfront, you will find an embarrassing 1-megapixel front-facing snapper. The selfies are disappointing, and images taken with the front facing camera were poor in quality, but worked quite well while making a video calls. 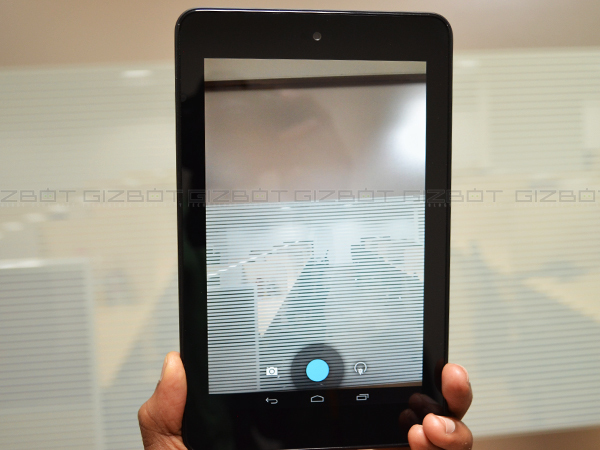 However, despite the less megapixel sensor, the rear camera (which offers a 2560x1920 resolution, 4:3) can be considered as one of the best in the budget category tablets. However, it should be noted that only when the lighting condition is right the images are perfect, and in the scarcity of light the camera struggles to render its best shots. A surprising feature in the tablet is the Full HD video recording. The Dell Venue 7 offers a decent 16GB internal storage but the best part is that the device is also capable of taking the MicroSD card up to 64GB. 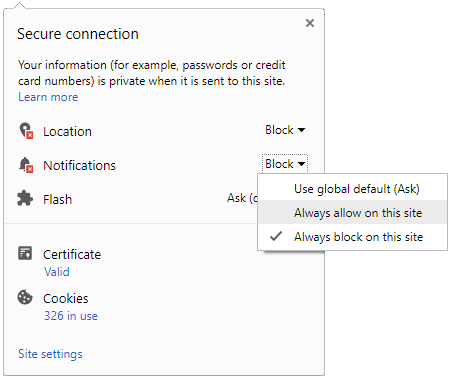 This is a great addition to the device. What makes the Venue tablet quite interesting is that it is priced very affordably and still offers the futuristic 4G LTE support. Unfortunately, the LTE bands which the device supports is not available in India and therefore you will be limited to3G speed while surfing. 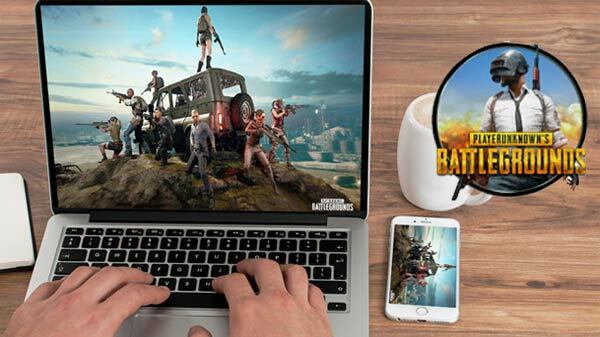 There is also other features like Miracast and Wireless Display, micro-USB 2.0 port is used for recharging the device and data sharing with a computer. OTG also comes in handy with this tablet. Other connectivity options include WiFi 802.11 a/b/g/n/ac standards, Bluetooth 4.0, GPS. While its stay in GizBot, it showed excellent performance in this department. 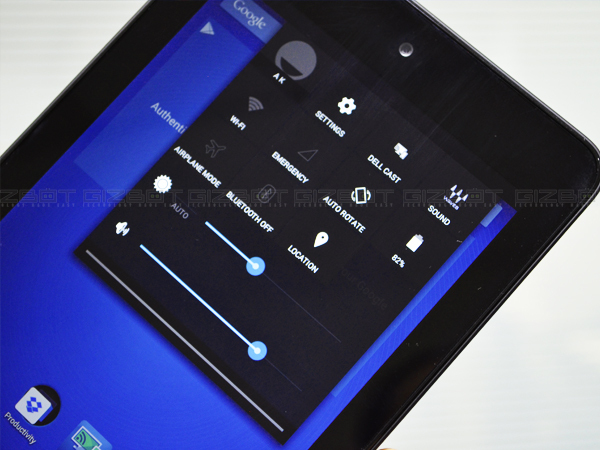 Dell Venue is powered by a 4,550mAh battery and is quite an average in terms of juice it delivers to the device. The device ran for about 18hours at a minimum brightness. With internet usage, the battery managed to offer approximately 8 hours of life. Not the most long lasting battery but it’s surely more than an average device in terms of the battery. One of the best things about the Dell Venue tablet is the OS i.e. 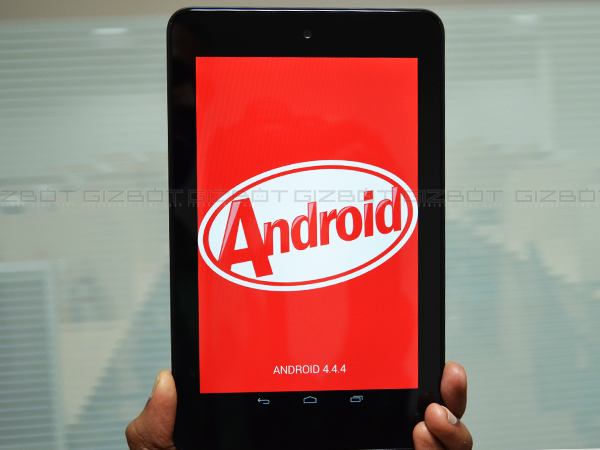 Android Jelly Bean v4.2.2, which is quite stable and runs really smooth in the tablet. 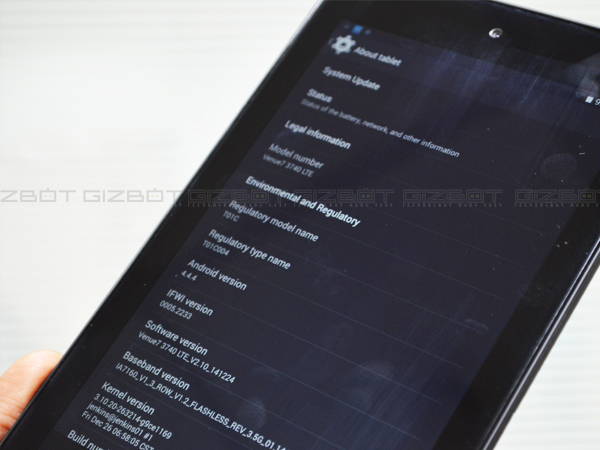 It is The Dell Venue 7 is one of the best 7-inch budget options under Rs. 15k price bracket. 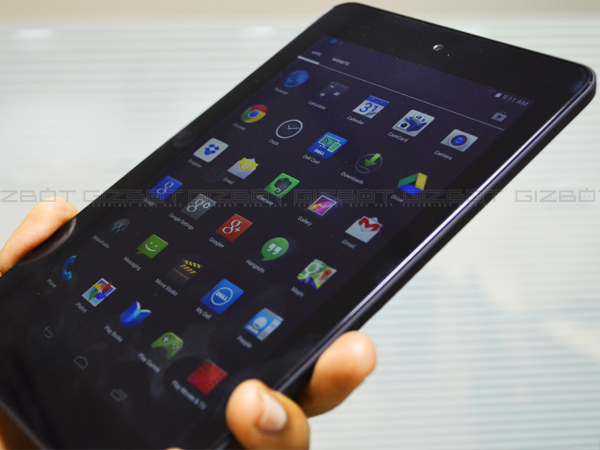 However, Google Nexus 7 has already become a great benchmark for users, therefore, competition is going to be intense. Although Dell has done an incredible work with the tablet mixing the 64GB MicroSD card support, 4g LTE connectivity and a decent rear camera, they could still have done much better if they would have increased the brighter level of the display. Moreover, even the thick bezels slightly make the tablet look inexpensive. The inclusion of the voice call support is much of a perk here. For a casual user the device is a stable one and also comes with immense storage space and microSD card support.